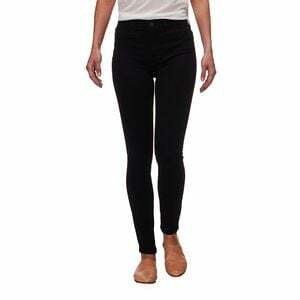 Whoever said skinny jeans were uncomfortably tight didn't know about Free People's High Rise Long & Lean Pant. Super-stretch denim construction makes this pant comfortable all-year long whether you are swinging in a hammock or sitting at your desk. A high-rise waist and flattering silhouette gives you a clean canvas to diversify your style.